Last year we delighted tea lovers around the world with our secret Kombucha recipe. This year we brewed our first batch of Jun Tea, we’re hooked! 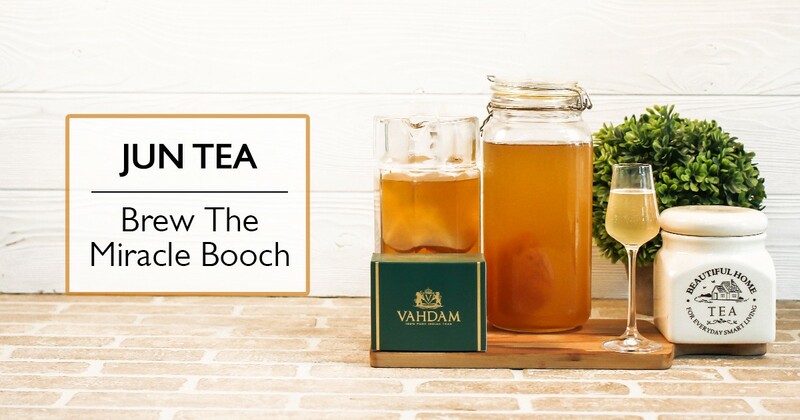 Given the success of the kombucha brewed with Vahdam Teas, we kept looking for more exciting options that we could play around with. With a lot of support and encouragement from our patrons, we decided to take our passion for fermented drinks to the next level — Jun Tea. What struck us as interesting even as we started, was the realisation that we preferred green tea for our kombucha, and honey was also a preferred choice of sweetener. Booch enthusiasts will note that we had been brewing batches of kombucha and Jun Tea, without realising the difference! 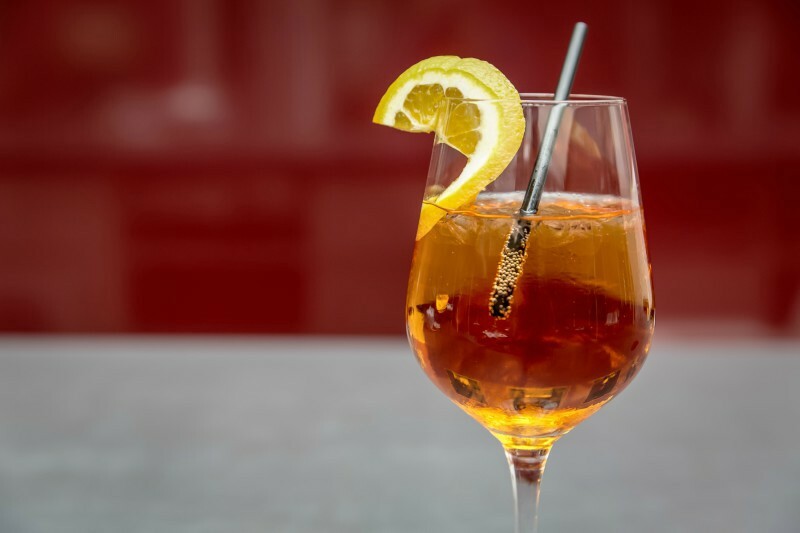 For those yet to be initiated to the magical world of fermented tea, kombucha is made from sweetened black tea or sweetened green tea — the sweetener being sugar. Jun Tea is made from honey sweetened green tea. The key difference is the culture or SCOBY that is used to brew Jun Tea. The SCOBY or the ‘Symbiotic Colony Of Bacteria and Yeast’ for Kombucha can trace its origin to the Chinese medicine man, Kombu. In the case of the Jun Tea SCOBY, there is no proof to establish where or how it came to be. The mystery takes us to Tibet and leaves us to wonder how the very first culture for Jun Tea was created. At present, there are just stories to indicate that the spiritual monks of the Tibetan plains offered Jun Tea to the warrior nomads to feel energized after a long day of fighting. It can be deduced that the Tibetan monks used the same process of creating the Kombucha with their local ingredients and chanced upon a new kind of SCOBY from which Jun Tea was created. That’s still folklore though. All we can say is that Jun Tea works a certain magic! It is very clear, however, that the two cultures are similar in effect but very different in chemistry. Both the cultures help to ferment the tea into a complex combination of healthy acids and create a probiotic, fizzy drink. So how is Kombucha different from Jun Tea? There are some crucial areas in which Jun Tea scores higher than the Kombucha. After all, there is a reason that it is referred to as the ‘better cousin of kombucha’. 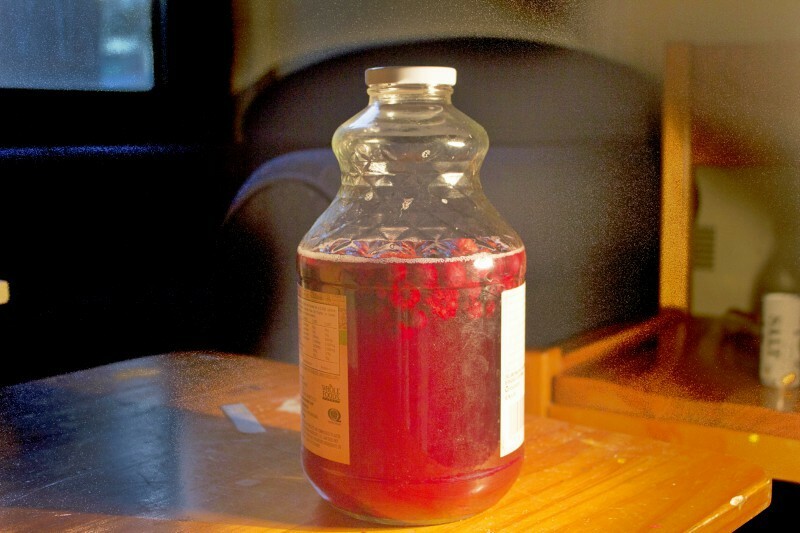 A batch of kombucha can take upto 7–10 days to brew, depending on the temperature. Jun Tea on the other hand is ready in 3–5 days depending on the climate. Warmer regions (room temperature is more 70 degrees Fahrenheit or more) help to ferment the tea faster, resulting in a lot of Jun Tea in little time. While every brewer can tell you that vinegar feeling one has when you have left your kombucha to ferment for a day or two too long. 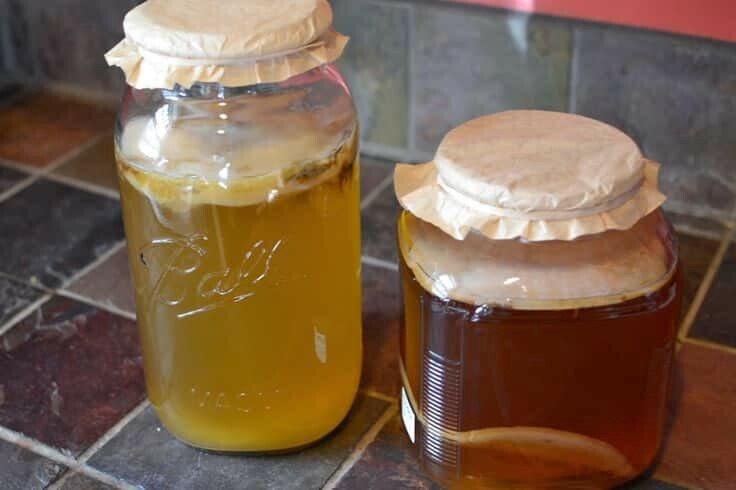 Once your kombucha is ready, letting it stand with the SCOBY could turn it sour. Like vinegar. Brewers advise you to just let the batch turn into vinegar by letting it stand for longer (almost a month). Jun Tea is far more forgiving in nature and doesn’t turn as sour even if you’re a day or two late. Jun Tea has a lot more fizz than a regular kombucha, giving it the title of ‘Champagne of Kombuchas’. We definitely support the use of a single dried raisin in each bottle of the drink to ensure better fizz. Best be careful while opening a fresh bottle of Jun Tea, it is most likely going to ‘pop’ open. Researchers have already declared Kombucha to be a great source of vitamin B 1, 2, 3, 5, 6, 7, 9 and 12, vitamin C, iron and zinc. Not only does Jun Tea have all the above resources, the green tea and honey — especially raw organic honey — helps to add small amounts of calcium, potassium, manganese, magnesium, sodium, phosphorus, and vitamin K. While Kombucha boasts of 7 exceptionally healthy acids, Jun Tea has 18. How to brew Jun Tea? 2 large pots, one to boil and steep your tea. The other to mix. The method to brew the Jun Tea is quite similar to the Kombucha. Bring 1 litre of tap water to a boil and add the Organic Himalayan Green Tea. Let it steep for 10 minutes (you want a concentrated tea brew). Once the tea has steeped, strain it into the other pot. You may reuse the tea leaves for another batch of green tea or transfer the infusion to fertilise plants in your garden. Let the tea cool to room temperature. This can take up to 2 hours. If you are in a rush, you can add half a litre of cold water to the tea concentrate. Once the mix is at room temperature, add the honey and stir it in well. Pour the mix into your gallon jar and fill with regular water leaving 2 inches of space from the top. Add your Jun Tea SCOBY and starter liquid to the jar. Like the Kombucha, Jun Tea reacts poorly to sunlight. Make sure you seal your gallon jar with a piece of clean cotton cloth and rubber band to avoid any insects like the fruit fly. Change the cotton cloth with every batch. Here are a few additional tips to make your Jun Tea experience truly special! If you add a dried raisin to the bottle in which you pour and store your Jun Tea, you’ll get a better fizz in the bottle. The raisin helps in carbonating the drink better. If you wish to add flavour to the Jun Tea, then use 1 cup of fresh fruits along with a dried raisin to a bottle of Jun Tea. Cap the bottle tightly and set it aside for 24 hours. Strain and drink! Do not use flavours in your Jun Tea with the SCOBY as you will not be able to make plain Jun Tea with it. While we do not suggest using your Kombucha SCOBY to make Jun Tea, if you are hard pressed you could try a simple method to get a booch that is as close to the Jun Tea as it gets. Make a green tea concentrate and add honey to it. Let the SCOBY rest in this concentrate for 2 days. Filter out the concentrate, leaving just a little bit of a starter liquid. 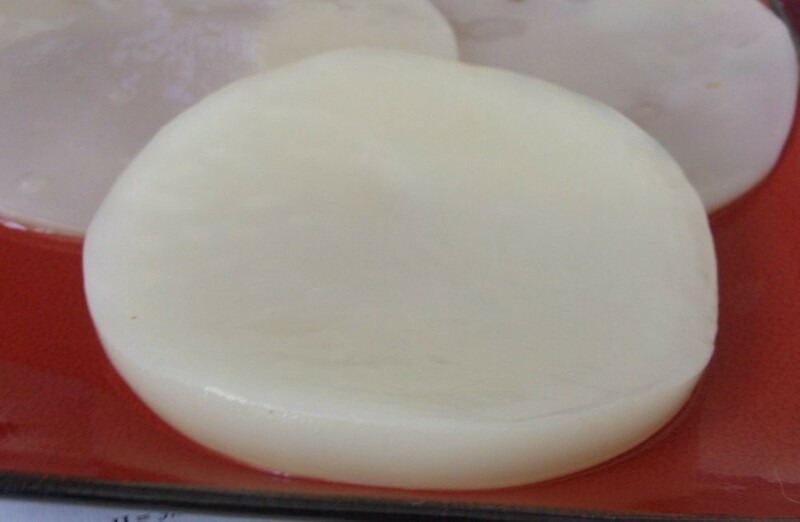 Use this treated SCOBY and started liquid to get an interesting mix of Jun Tea and Kombucha!